Early people in Africa began cattle herding around the same time that the people of the Fertile Crescent began their agricultural breakthroughs. This pastoral lifestyle changed the face of society in Africa, transforming the people and the land. This African civilization was unique because of its definite Christian leanings, following the African city of Axum. This demonstrates the growing connections between world societies as well as growing tolerance for outside ideas, as well as the dominance of European culture. 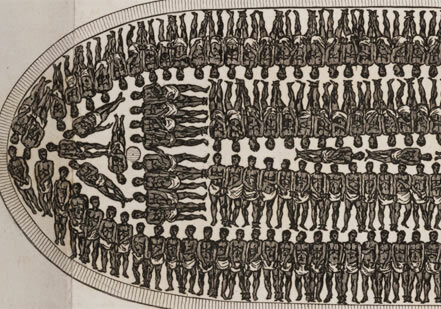 The Slave trade was important in shaping African, European, and American society. West African merchants became wealthy selling captive slaves, European traders became wealthy selling these slaves in the Caribbean, Brazil, and North America, and the introduction of these slaves marked a change in the culture of these regions. 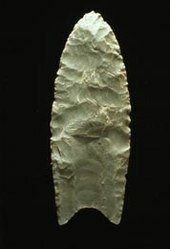 A large culture characterized by their distinctive arrow-head points. This is the early established "culture" in history, and it demonstrates the importance of hunting to Paleo-Indian societies. Large mammals began to disappear, falling to the hunter-gatherer societies (and no doubt the Clovis Cultures). Their over-kill demonstrated the effect of human movement, especially the destructiveness of their cultures. The Mohawk, Oneida, Onondaga, Cayuga, and Seneca people in North America formed a loose League for military, social, and religious purposes. This Confederation became especially important during European colonization. Another important aspect of this culture was the matrilineal aspect, as family and tradition was passed through the mother, marking a woman's importance in this society. Columbus's discovery marked the beginning of a new age and society in the world. Connecting two cultures, he brought together new ideas and helped create original ones as well. Europe could now tap Asian wealth, and in the process put themselves at the top of a World social hierarchy. Spanish dominance over the Aztecs and Incans ensured they would dominate the New World society for a time. Their occupation of South and Central America brought changes to these lands as well as native Spain, where great wealth was brought from the mines and agriculture of this region. Spain was put at the top of American and European society, and their culture and language is still present in America. Silver was discovered by the Spaniards in Potosi. This discovery led to a rapid change in society, marking the beginning of globalization as well as a massive push for European dominance in the world. This discovery also marked the decline of labor for Native people, with the natives being forced to work in the mines for little pay. The Plantation system was an extension of slavery and was present throughout the Americas. This system made a few people very wealthy at the expense of slaves. The wealthy at the top also pushed down many poorer classes, further stratifying society. Many aspects were changed by the American Revolution, especially the social climate. Equality was now institutionalized, and government took a more public form. Unfortunately, America also fell behind socially, keeping slavery in practice and maintaining Puritan doctrines on gender. Settled societies began harvesting/growing grains and other plant life around where the Mesopotamian society would emerge. The developments here led to population growth and city development, expanding and specializing labor. Coincides with the emergence of Nubian Civilization. This early society was one of the first united societies, and demonstrates the power of agricultural communities in the Fertile Crescent, as well as the specialization of labor. The Abbasid's dominance between Spain and the Middle East represented the height of Islamic dominance. Their culture was spread all throughout the Mediterranean, and the trade they supported allowed cross-cultural connections and unity in the Islamic world. The Mughal Empire in India was a powerful Muslim entity on the subcontinent, drawing its leaders from the Mongol empire. The rule of people such as Akbar allowed more freedom, especially religiously. Akbar limited the divide between Hindus and Muslims, but this was broken by the ruler Aurangzeb. The Mughal's represented a lasting impression by the Mongol tribes, and their culture had an impact on Indian art and architecture. Following the finish of British Colonial rule by the Raj in India and Pakistan, the two split up based on Hindu/Muslim dominance. Mahatma Gandhi is credited with leading the Indians on a peaceful show of disobedience to inspire the freedom from rule. This dramatic shift marked a renewal of Indian culture but also inspired many social problems, especially conflict between ethnic, religious, and gender lines. Greek society became especially important later during the Renaissance due to its social successes. Unusual equality was present, with slaves having some opportunity and common men having a say in the society and government of Athens. The Roman Empire was a large Mediterranean civilization that included parts of the Middle East and Africa. It initially existed as a Republic, but later became embroiled in a dictatorship. Its long-lasting and stable society kept Europe's people safe for many years, and its decline was met with great instability and confusion. It established precedents for society and Europeans for many years to come. A Macedonian leader, Alexander took the Greek cities and formed a large Empire into the Middle East, Africa, and India. This conquest introduced Greek life into far off parts, and played a role in the Bactrian culture as well as the widespread importance of Greek culture in the lives of Asians, Africans, and Middle Easterners. The Byzantine Empire was formed out of the remains of the Eastern Roman Empire, and retained its culture for many years. Slowly, its society diverged from that, however, and it separated from the Roman Catholic Church. Constantinople was a hub of civilization and culture and one of the most important cities in the world. Peter the Great took to conquest and change in Russia during his reign. Especially prominent was the treatment of peasants in his new society. The change from serfs was an improvement, but it also bound the peasants to further inequalities such as compulsory taxes and military service, as well as continued forced labor. The Enlightenment was a period of great philosophy and education. This period changed society and the social strata, affecting the lives of individuals through ideas on freedom and equality. The Industrial Revolution marked a turning point in the world, further establishing European market dominance and giving them more reason to discriminate against others. It also stratified British society more, putting women in the home and inspiring them to put forth a revolution to change women's rights. 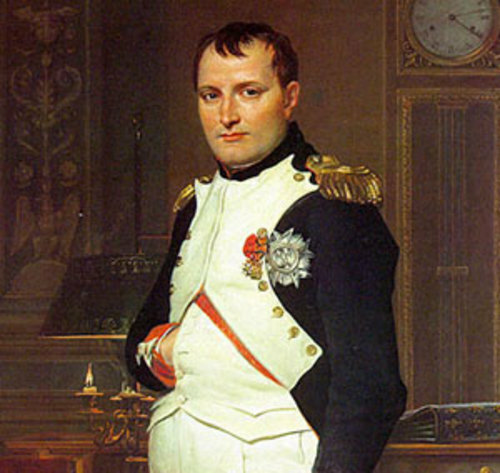 Napoleon Bonaparte ruled Europe as a dictator, but instituted many of the reforms that were a part of the French Revolution. Such ideas were accepted by societies across Europe, and the change to equality was important to many. However, Napoleon's rule was not appreciated.